I Robots Innovative Solutions offers Industrial Automation services and solutions with Industrial Robots. Our towering success in the industry within a short span of time is based on our encompassing range of Robotic solutions for Robotic Laser Cutting, Robotic MIG and Spot Welding, Robotic Material Handling, Robotic Machine Tending, Foundry and many innovative robotic applications as per customers requirements. 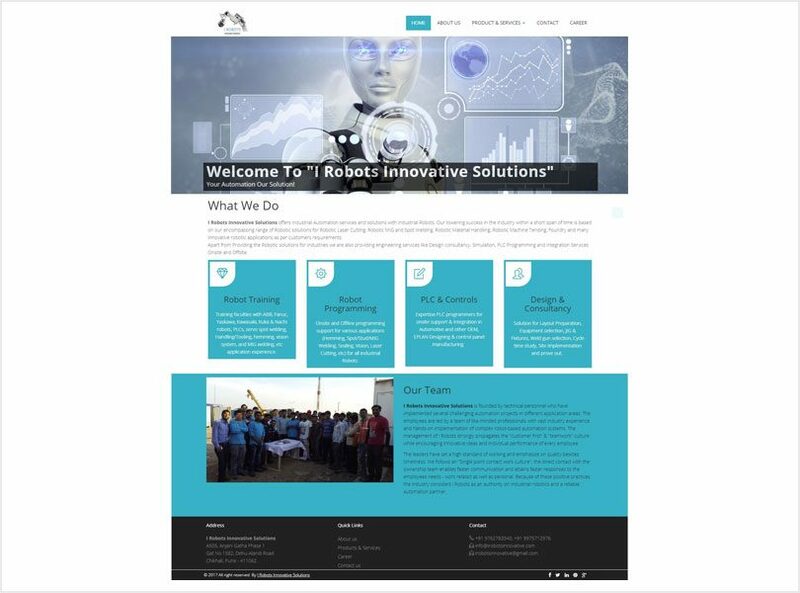 Apart from Providing the Robotic solutions for industries we are also providing engineering services like Design consultancy, Simulation, PLC Programming and Integration Services Onsite and Offsite. I Robots Innovative Solutions offers Industrial Automation systems and solutions with Industrial Robots. With its passion for excellence and concentrated focus on customer’s requirements, I Robots have goal to transform from a small start up to an established technology partner to various renowned clients across India and the world. SEIPL, Sheetal Environs (India) Pvt. Ltd. has been a leading player in its core field of plumbing since inception in 1980.